Construction on the 180-megawatt Warradarge Wind Farm will start in early 2019, WA Energy Minister Bill Johnston announced last week. Located near Eneabba, 278 kilometres (173 mi) north of Perth, the Warradarge Wind Farm wind farm is recognised as one of the best renewable projects in Australia due to its location and abundant wind resource. The project, which is expected to create up to 200 new jobs, will be funded and developed by Bright Energy Investments (BEI) – a partnership between Synergy and the private sector launched by the WA State Government in April. The engineering, procurement and construction; and operations and maintenance contracts have been awarded to leading sustainable energy solutions company Vestas, with Western Power to construct the 10-kilometre transmission line from the wind farm sub-station to the network connection point near Eneabba. In making the announcement, Mr Johnston said the new wind farm will feature 51 of the largest turbines in Western Australia, with a tip height of 152 metres. 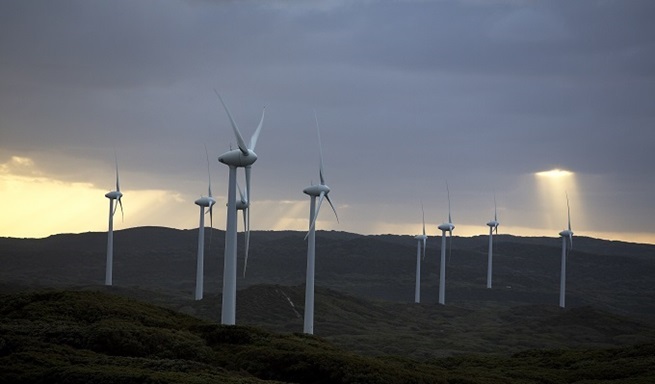 “The wind farm will have a total output of 180 megawatts with a 50 per cent capacity factor – the equivalent of the average annual electricity needs of 135,000 Western Australian homes,” he continued.